Remember NetZero? The company offered free dial-up internet service just as cable modems and DSL started to grab market share. 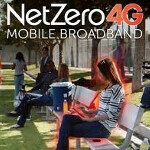 Now, NetZero is planning on changing the landscape of mobile 4G service. The company announced on Monday that it will be re-selling WiMAX 4G service. Actually, let's rephrase that. NetZero has a free service plan that it is using as a loss leader, hoping that most users convert to a paying plan before their free year is up. You can buy a $50 USB dongle or a $100 mobile hotspot and in return get 200MB a month for 12 months with no contract to sign. After your year is up, you can sign up for one of NetZero's plans which start at $9.95 a month, or simply walk away. With an ad-supported model, NetZero was able to build a list of millions of customers for its free or low cost home internet service. The service appealed to those who couldn't afford broadband or rural customers who did not have access to it. Now the company is heading back to its roots by trying to appeal to those who cannot afford 4G cellular service. Mark Goldston, CEO of United Online, NetZero’s parent company, says that mobile broadband is a very expensive and elite service at the moment. And with many users going to the coffee shop or book store to use free Wi-Fi, that is the market that NetZero is going after. They aren't going after the home internet user or the business user. They want to go after the 100 million public Wi-Fi users. This time, you won't find third party ads on your smartphone screen. Instead, the goal is to get users to convert from the free plan to a paid one even before the free year is up. NetZero will charge $9.95 a month for 500MB and $49.95 a month for 4GB. Once you go over your data cap, the service stops working Not a great solution and perhaps it makes you appreciate throttling more. But those who exceed their data cap are given the option to purchase additional MB or pay up for the next higher contract plan. The only limitation to NetZero's plan is that it is limited to WiMAX's footprint of 130 million people in 70 cities and there is no plan for WiMAX to expand. And while it was once the fastest pipeline available, HSPA+ and LTE networks lap WiMAX's speed. Still, a user for the sourcelink took one of NetZero's mobile hotspots for a spin where it scored speeds in the 2 to 3Mbps range while driving the streets of Chicago. Standing still, the service occasionally hit 10Mbps. 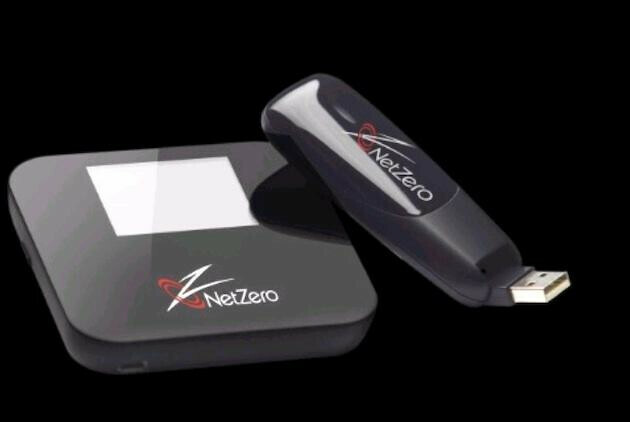 Ironically, NetZero's mobile 4G service will let you throttle yourself. On each user's account page is a throttling bar which allows user's to slow down to no more than 1Mbps down and 384kbps up. The idea is that by dropping down to what NetZero calls "Light Speed," your monthly data plan will last longer before you go over your monthly cap and your service is shut off. The major carriers are offering plans ranging from $6.67 per GB (Sprint $80 get you 12 GB) to $8 per GB (Verizon & Tmobile has $80 gets you 10 GB), Netzero's pricing is high at about $12.50 per GB ($50 gets you 4 GB). Keep in mind WiMax technology is inferior to LTE, etc. My advice to NetZero: (i) have roll-over data for active accounts, we paid for the data so let us have it (ii) allow the customer to use the entire "free" 2.4 GB without the annoying restriction of 200 MB per month. Since the hotspot has been paid for, the customer has "equity" commited to NetZero. (iii) have one monthly plan of $9.95 for 500 MB (with 10 Mps download speed) and each additional 500 MB at $5, and you will get customers. I would sign up immediately since I have no problem spending $10 a month and then paying for the extra data knowning any unused data is mine to spend next month.